Mass extinctions throughout the history of the Earth have been well documented. Scientists believe that they occurred during a short period of time in geological terms. In a new study, FAU palaeobiologists and their research partners have now shown that signs that the largest mass extinction event in the Earth’s history was approaching became apparent much earlier than previously believed, and point out that the same indicators can be observed today. Mass extinctions are rare events that have catastrophic consequences. These events often completely change the course of evolution. For example, the rise of mammals – and therefore of humans – would probably not have been possible had dinosaurs not become extinct 65 million years ago. A meteorite hit the Earth plunging it into darkness and causing a huge drop in temperature. The subsequent hunger crisis wiped out more than 70 percent of all animal species. Man’s ancestors were among the lucky survivors. The consequences of the extinction of species that occurred around 250 million years ago at the Permian-Triassic boundary were even more catastrophic. Gigantic volcanic eruptions and the greenhouse gas emissions they caused wiped out around 90 percent of all animal species according to estimates. For over twenty years, the dominant opinion in research was that this ‘mother of all disasters’ happened abruptly and without warning, when seen on a geological time-scale – estimates suggest a period of just 60,000 years. In a new study published in the March edition of the renowned magazine ‘Geology’, a team of researchers from Germany and Iran have proved that this crisis happened over a longer period of time. Under the leadership of Prof. Dr. Wolfgang Kießling, Chair for Palaeoenviromental Research at FAU, who has also recently been appointed as lead author for the sixth World Climate Report, and Dr. Dieter Korn from the Museum für Naturkunde in Berlin, the scientists examined fossils in largely unresearched geological profiles in Iran . Their results show that the first indicators of a mass extinction were evident as early as 700,000 years prior to the actual event. 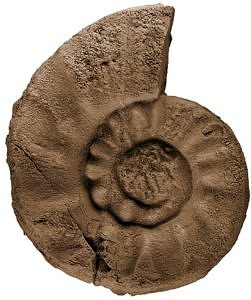 Several species of ammonoids were killed off at that time and the surviving species became increasingly smaller in size and less complex the closer the main event became. The original article titled ‘Pre-mass extinction decline of latest Permian ammonoids’ by Wolfgang Kiessling, Martin Schobben, Abbas Ghaderi, Vachik Hairepatan, Lucyna Leda and Dieter Korn was published in the magazine ‘Geology’ (doi: 10.1130/G39866.1).